A prodigious young talent with a gift for spinning saccharine melodies, Canton, Ohio’s Fijimacintoshcreates ear candy for rap’s new era. Preparing a new batch for his growing cult of adoring fans, Fijimacintosh announces Satellite Crash, his debut project. Featuring ten hard-hitting tracks that showcase the 16-year-old’s preternatural gift for melody, Satellite Crash is promising portrait of a blossoming artist, as Fiji mutates his style to fit the high-def instrumentals. The cousin of breakout rap star Trippie Redd, Fiji shares his cousin’s infectious emotionalism and knack for songwriting, flashing a bubbly delivery over beats from Go Grizzly, Cassius Jay, Charlie Handsome, Deko, Pooh, and others. 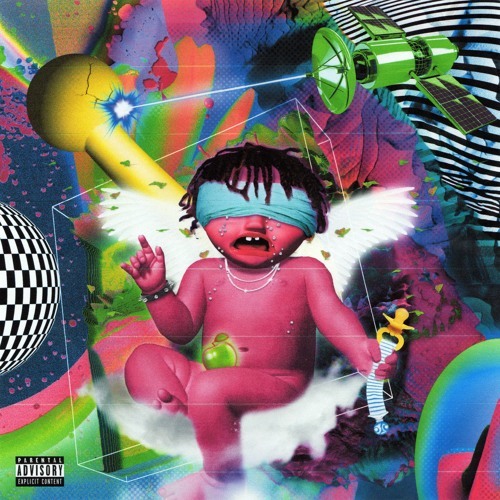 Featuring appearances from Robb Bank$, A1 Billionaire, SwagHollywood, and Cashonly, Satellite Crash builds on the momentum created by singles such as “Millennium,” featuring Kid Trunks, which has over 600k plays on SoundCloud in the three months since its release. Distributed by EMPIRE, Satellite Crash releases on March 16th. To accompany the tape, Fijimacintosh shares “Nocturnal Exclipse,” a swirling and wavy new single. Gliding over aqueous keys and snapping snares courtesy of producers Go Grizzly and Blessed, Fijimacintosh locks into a hypnotic cadence, stretching out each final syllable with a pleasing auto-tune. Premiered by ELEVATOR, “Nocturnal Exclipse” features a guest spot from Robb Bank$, who complements Fiji’s floating tenor with an emphatic and percussive verse. “Nocturnal Exclipse” demonstrates the songcraft and melodic mastery that won Fijimacintosh a co-sign from fellow teen sensation Smooky Margielaa, who tapped Fijimacintosh to open on his upcoming 16-date Margielaa Madness tour, embarking on March 21st and spanning from Seattle to Boston. 7. Did You Leave Something Behind? Please contact Michelle or Isabel if interested in talking with Fijimacintosh.